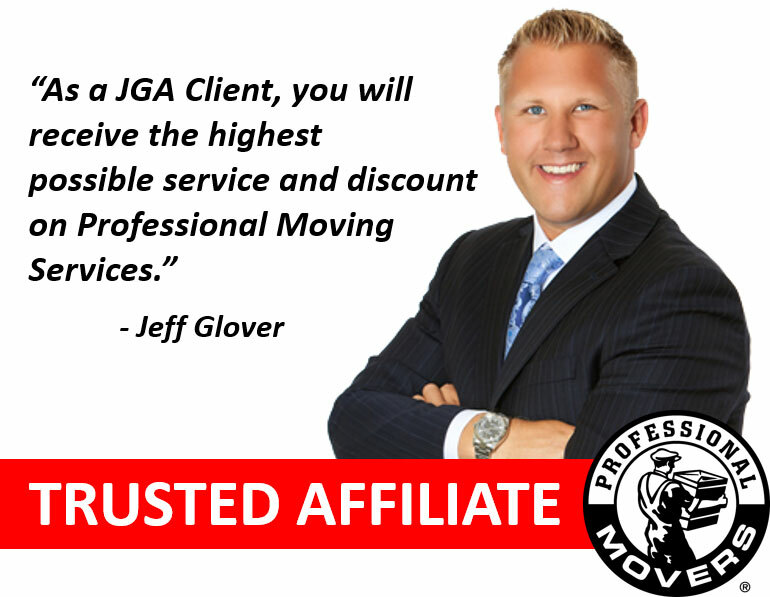 Professional Movers.com would like to welcome you to the Jeff Glover & Associates (JGA) Moving Incentives webpage. This webpage is designed to provide exclusive discounts on moving services for those who have bought or sold their home with the #1 Real Estate Team in Michigan. 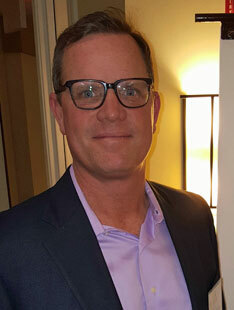 As the Preferred Mover for Jeff Glover & Associates, Professional Movers.com provides referrals’ of Jeff Glover & Associates with the very best professional relocation services. JGA members will receive added value benefits for local residential moving within Wayne, Oakland, Macomb, Washtenaw, and Livingston Counties. Whether you are moving to a house, apartment, condo, or loft, these discounts and value added services are special “Perks” designed to reduce stress and improve your overall move experience while also saving you time and money. 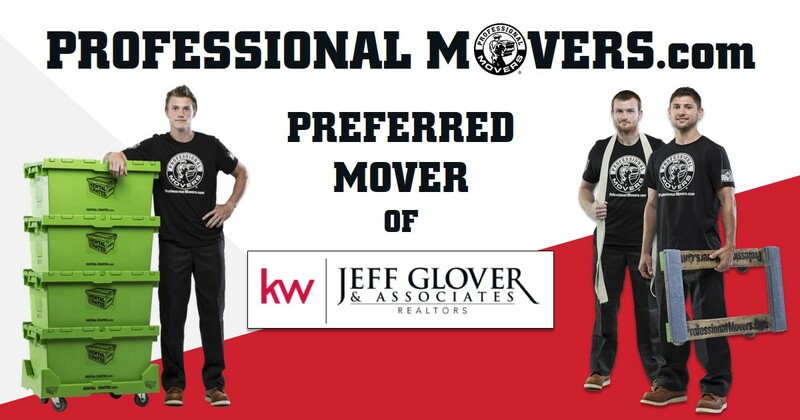 Just like Jeff Glover and Associates, when you work with Professional Movers.com, you are working with the Best. We have we have been voted “Best Moving Service” by Readers of the Oakland Press for five consecutive years (2013–2017). We have been in business for over 40 years and have become Detroit’s trusted resource for background checked, intelligent, friendly, and highly skilled movers. In fact, our movers do things so positively different, they will transform your perception of what to expect from a professional moving service. We focus on the details that most moving companies miss and make customer experience our priority. JGA Referrals will be assigned a dedicated Moving Consultant. Our Moving Consultant will be responsible for developing a step-by-step move plan and timeline. They will help determine move crew requirements and evaluate the appropriate packing and moving equipment needed. They will hold your hand through the entire relocation process and be your main point of contact throughout your move. Always available by phone and e-mail, our Moving Consultants are easy to reach and have a vast network of in house supportive assistants allowing them to be flexible and responsive to your needs throughout the move process. 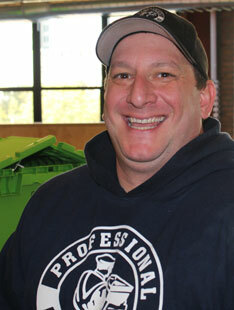 Our Moving Consultant will visit your home and perform a pre-move survey. They will walk with you through your home to complete a list of items that you would like to move. Our Moving Consultants are trained to think of all possibilities regarding the scope of your move, and can offer advice on how to pack more efficiently and save on moving costs. They will work with you to ask a myriad of questions to uncover the details of your move, and plan for them so that you won’t have to. After our Moving Consultant visits your home, they will provide you with an accurate moving plan and quote. JGA Referrals will be provided with Free use of 4 rental wardrobe boxes on the day of your move. The wardrobe box is a large box that has a support bar that allows us to transfer hanging clothing from a closet directly into a wardrobe box. Our move team will relocate the wardrobe box to your new home and the clothing can be re-transferred into your new closet. As long as the rental wardrobe box is returned on move day, you will get to use 4 wardrobe boxes for free. JGA Referrals will receive $25.00 Off any Rental Crates.com plastic moving box package for your home. 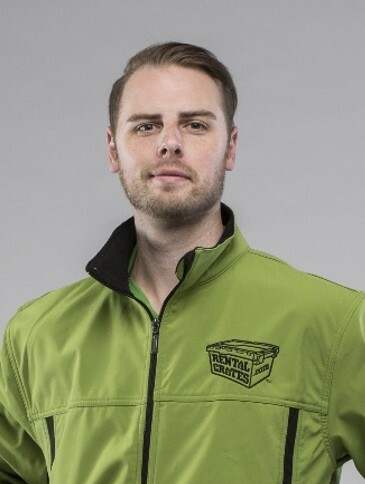 Find everything you need to pack in one place at RentalCrates.com. You will receive a special checkout code that takes $25.00 off the package price of any order placed with Rental Crates.com. Find out how packing and moving with reusable plastic moving boxes can save you time, stress, cardboard waste, and more off your overall move costs. Make the switch from cardboard and have the Rental Crates delivered to your doorstep. JGA Referrals will receive a 5% Discount on your Total Moving Costs. After our Moving Consultant visits your home to perform a move survey and reviews the items you would like to move, he/she will provide you with an accurate moving plan and quote. The quote will itemize all costs and display your Moving Incentives in a clean and easy-to-understand format. There will be no hidden fees, and the quote will be valid for 30 days. Typically, a hardcopy of the move plan and quote will be directly emailed to you within 24 to 48 hours of the survey date. Larger moves may require additional time to complete. During the survey, the Moving Consultant will inform you when to expect your moving quote. Should you have immediate questions, please feel free to contact your Moving Consultants directly, their contact information is listed below. 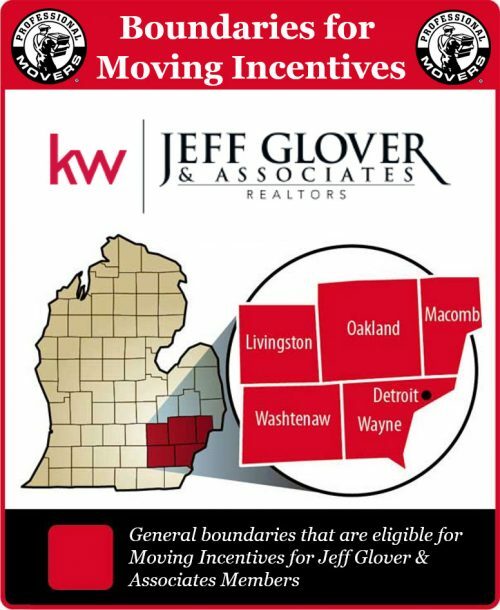 To be eligible for the Moving Incentives for Jeff Glover & Associates members, individuals must relocate within the following counties: Wayne, Oakland, Macomb, Washtenaw, and Livingston.